Our Guide Gear® Garrison Belt looks great dressed up or dressed down, and helps keep all of your favorite pants right where they belong. Genuine leather construction holds up on durability even as it holds up your jeans. 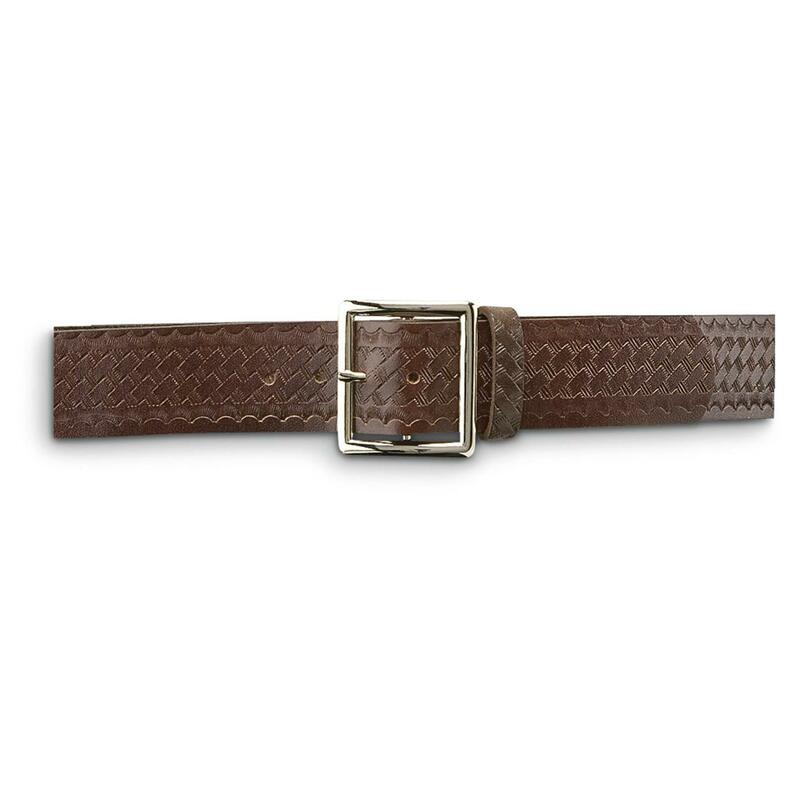 Guide Gear Mens Leather Garrison Belt is rated 4.7 out of 5 by 104. Rated 4 out of 5 by SteveG from Nicely made sturdy belt The detail and finish of the belt is very good quality. At first look, I thought it was too short, but I measured it and it was right on the money. Tried it on and it fit perfect. (36W, I ordered 38 belt). What it turned out to be is that the tail end of the belt is a little shorter than other belts I've been wearing. The belt fit me perfectly using the center hole, as it should. I just would have liked and extra inch on the tail end (beyond the holes). Nice belt. Buckle could be heavier. All in all, happy camper here. Rated 4 out of 5 by Wingmaster from Good belt, wider than shown Good quality belt. However, it is shown as being 1.5" wide. The belt I received was actually 1 5/8" wide and does not fit the clip on my IWB holster. Otherwise a good choice. Rated 5 out of 5 by charlie from Nice belt at a good price This is a nice belt at a good price. Guide Gear products are good quality. 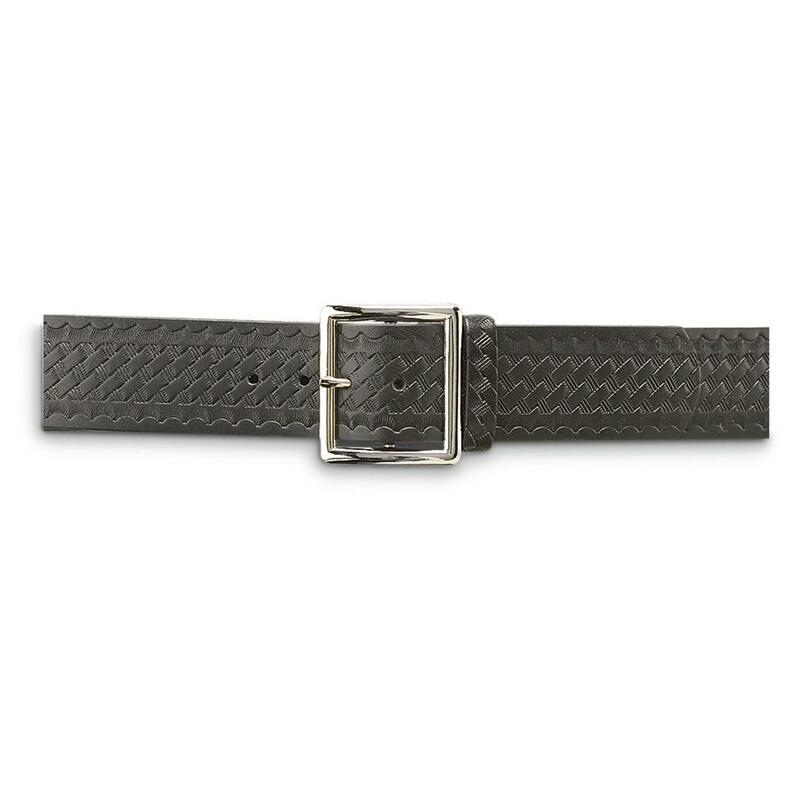 This belt allows you to install your own buckle and is made of single piece heavy leather. Rated 5 out of 5 by papaskip from Solid belt at a good price This belt is heavy and will carry my side arm nicely. 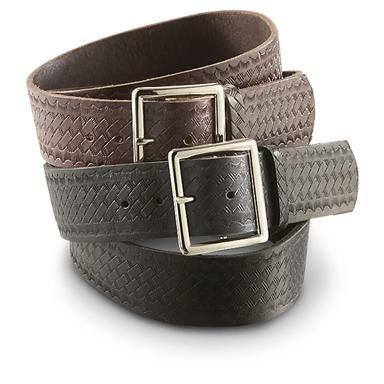 Rated 5 out of 5 by RobtNY from Guide Gear Mens Leather Garrison Belt I have paid $50 and $60 for a belt of this quality. I purchased it strictly for a holster belt for a single action pistol, but it's too nice to only use once in a while.I need another at that price. Rated 5 out of 5 by MAILMAN 778 from Very Good Belt Belt seems very well made and is thick and seems to be on size.. Reliable work suspenders in classic camo. Full range of motion meets unbridled strength. Buckle up with the best support for your holster.